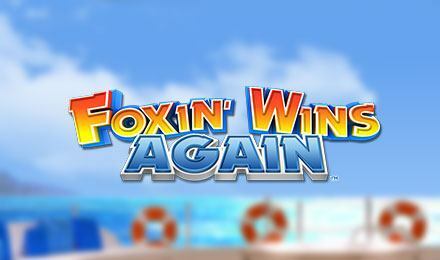 Foxin Wins Again Slot is a freshly released nautical themed slot that allows you to play on 5 reels and 50 pay lines. Set on a luxurious yacht, the rich fox allows you to profit from Super Bet Features and Free Games. Let’s go cruising with Foxin and his five pups that appear on certain features. When they are shown at the bottom of the reels, they randomly jump onto the grid and transform into wilds, increasing your winning chances. The unique themed slot game works very well, with the different symbols and features on the game. Symbols like cocktails, ships and compasses increase your envy to win. Select Lines: All 50 pay lines are fixed. Stake/Line Value: Select your bet amount and choose from the lowest value £0.01 to £1.00. Click Spin Button: Click spin to start the game.